Many industry watchers feel the U.S. is slipping behind other countries, particularly Germany and China, in creating a unified national strategy for development of the Internet of Things or IoT. But federal leaders, in the early stages of involvement, reached out to the telecom industry for guidance. Two months later and the call for comment has been met in spades with more than 130 filings coming from a broad swath of telecom interests including carriers like AT&T, T-Mobile, Verizon and Vodafone; vendors including Nokia, Ericsson, Huawei and Samsung; and industry trade groups like the Wi-Fi Alliance, Wireless Infrastructure Association, the Open Connectivity Foundation and the GSMA. Here’s a full list of the respondents and their filings with NTIA. A review of some of the filings indicates a strong industry expectation that the rapid uptake of IoT will require global coordination and will likely create new markets while disrupting existing ones. AT&T expects to see opex savings from SDN and NFV in the range of 40% to 50% but it will take a few years to reach that goal, said Krish Prabhu, president of AT&T Labs, yesterday. Prabhu discussed the prospects for software defined networking (SDN) and network functions virtualization (NFV) in a question and answer session at the Cowen and Company Annual Technology, Media & Telecom Conference, which was also webcast. Opex savings from SDN and NFV will occur when network functions are controlled through software, replacing today’s approach that relies more heavily on manual operations, Prabhu said. “Opex savings will materialize when [functions] are fully automated,” said Prabhu. AT&T has established a goal of virtualizing 75% of its network by 2020 and by that point, the company expects to see margins increase – apparently because of opex savings – Prabhu noted. The results that AT&T expects from SDN and NFV on the capex side are not as ambitious as what the company forecasts for opex. Prabhu doesn’t expect to see any capex savings from SDN and NFV, but that statement only tells part of the story. AT&T is expecting to handle four to eight times more traffic on its network within a few years than it handles today – and the company expects to accommodate that growth without increasing capex as a result of implementing SDN and NFV, Prabhu said. Prabhu’s comments are quite similar to those made by Verizon CFO Fran Shammo recently. Shammo told investors that Verizon’s capex also would remain flat despite the implementation of SDN because of additional investment required to add small cells to the company’s wireless network. AT&T also expects to invest substantially in small cells moving forward. Prabhu noted, for example, that while the company has built 90% of the macrocells it expects to need, it has only built 5% to 10% of the small cells it anticipates deploying. A key contributor to AT&T’s increasing bandwidth needs could be the company’s planned linear OTT video offering dubbed DIRECTV Now, which customers will be able to stream to a variety of wired and wireless devices. According to Prabhu the company will be ready to meet bandwidth demand when the service launches later this year. On the wireless side, he noted that the company has 40 MHz of spectrum in the AWS-3 and WCS bands that will be available to support the new service. The latest Ericsson Mobility Report forecasts such rapid growth in the number of global IoT devices that they will overtake mobile phones as the largest category of connected device by 2018. Ericsson reckons Western Europe will be the biggest growth driver for IoT devices, forecasting a 5x increase by 2021. 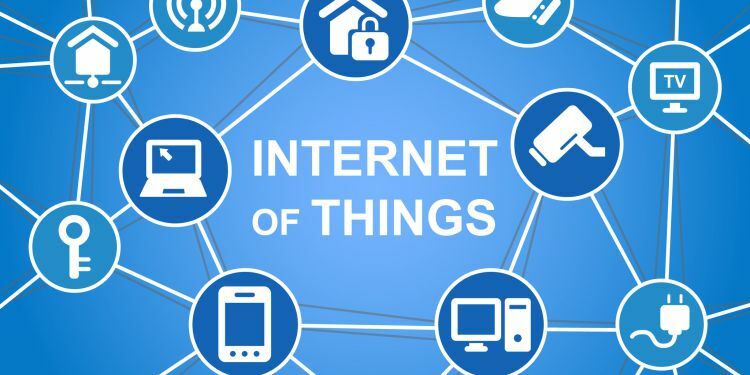 This won’t necessarily be the result of a greater appetite for IoT by European consumers, however, with Ericsson saying directives such as eCall for cars and smart meters compelling the continent to increase its number of connected devices. “IoT is now accelerating as device costs fall and innovative applications emerge,” said Rima Qureshi, Chief Strategy Officer at Ericsson. “From 2020, commercial deployment of 5G networks will provide additional capabilities that are critical for IoT, such as network slicing and the capacity to connect exponentially more devices than is possible today.” While the majority of IoT devices will be connected via non-cellular means (presumably wired or wifi), cellular IoT devices are forecasts to be the fastest growing category. Ericsson reckons a major reason for that growth will be 3GPP standardization of cellular IoT technologies, by which it’s presumably referring to NB-IoT. Other notable findings from the latest report include the fact that global smartphone subscriptions are expected to overtake those of basic phones in Q3 of this year and that the use of cellular data for smartphone video has doubled among teens in the past year, in contrast to a significant fall in the amount of time they spend watching traditional TV. Additionally the first devices supporting 1 Gbps LTE download speeds are expected later this year. Lastly Ericsson used the report to bring attention to the need to harmonise 5G spectrum in the frequencies above those currently licensed for mobile but below the 24 GHz+ range that was addressed at WRC-15, including better accommodation for microwave backhaul. It said the 3.1-4.2 GHz range is considered essential for early deployments of 5G and offered the chart below to illustrate how un-harmonised the global microwave backhaul picture currently is. Retro gaming giant Atari will soon be entering the IoT arena following a partnership with Sigfox, the low power WAN provider. Famed for its trailblazing old-school computers and gaming consoles in the 1980s and 1990s, an announcement from Atari said it will soon be developing and launching consumer IoT services. While tangible details weren’t particularly forthcoming, and won’t be for the time being, Atari did hint at a move back to hardware having been primarily, if not solely, focused on software and gaming for the best part of the last 20 years. Atari said the initial product line will include offerings in areas such as home, pets, lifestyle and safety. By combining with Sigfox, Atari plans on developing a wide range of new products, from the very simple to the highly sophisticated, which users can track at any time. Sigfox says that by connecting to its network, products will benefit from an extended battery life and no need for paring or connectivity configuration. “By partnering together and using SIGFOX’s dedicated IoT connectivity, we are going to create amazing products with our brand,” said Fred Chesnais, Chief Executive Officer, Atari. “We look forward to our collaboration with SIGFOX and releasing new products to the mass market on a global scale.” It’s fair to assume Atari is targeting a move back into hardware and away from gaming, although more information will be released in due course. Atari says development of the new product line will begin in 2016. Qualcomm has announced new chips and technologies designed to boost domestic wifi coverage, at-home IoT connectivity, wearable tech capability and next generation broadband delivery. Starting off with domestic wifi coverage boosting, and Qualcomm launched a new family of 802.11ac platforms designed to optimise device wifi usage by intelligently allocating radio spectrum in the home. It says its new three radio solutions combine two 5 GHz radios and a 2.4 GHz radio to help improve connectivity; and its platform, used on new routers and repeaters, can appropriately dedicate radio in the legacy 2.4 GHz band to devices only compatible with the 802.11n standard. This, in theory, can alleviate congestion on domestic networks and ensure more bandwidth availability for devices compatible with the newer 802.11.ac band. Qualcomm says the self-organising features integrated into the new platform means it will become much easier to register and configure new devices on the network; while automatically allocating capacity for devices based on real-time conditions. IoT is also in Qualcomm’s sights, as it unveiled a new chip set targeting low-power smart home devices. It says the QCA4012 chip brings dual band wifi, enhanced security, low power and small form factor for connected devices. Companion SDKs and services from partners Ayla, Exosite and Iota Labs include API interfaces and other tools to support IoT device and cloud integration. The Snapdragon Wear 1100, included in the raft of announcements, joins the product line and targets consumer-led IoT products, including smart-accessories and wearable tech. Qualcomm says it has been designed to target the wearable segment where a smaller size, longer battery life, smarter sensing, enhanced security. It also comes with a modem capable of LTE, wifi and Bluetooth support. Finally, Qualcomm also announced a fixed networking launch which it claims will help operators deliver up to 1 Gbps data rates on existing infrastructure up to 100 meters. The GigaDSL chipsets are intended to support gigabit data rates on existing telephone lines providing a high-speed extension for VDSL without losing spectrum capacity. It says existing infrastructure can be upgraded to the new processors without having to rip up the network and start again. The product line will become available from June for both fibre to the building and customer premises equipment. “With these new GigaDSL product offerings, we are able to meet carriers’ broadband goals, complementing fiber deployment in time for major events, such as the 2018 Winter Games in Korea and the 2020 Summer Games in Japan,” said Irvind Ghai, VP of product management at Qualcomm Atheros.